I just thought I'd share with you a couple of extra things I made for the Small Person's birthday last week. At the moment she really likes 'Brave'. 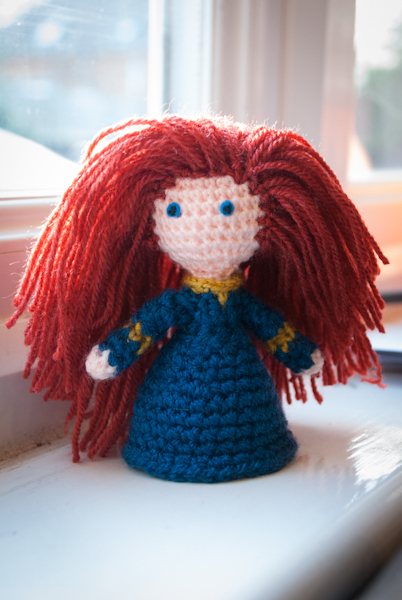 She wants to dress as Merida for her Princess birthday party, and we'll be watching Brave at the party. 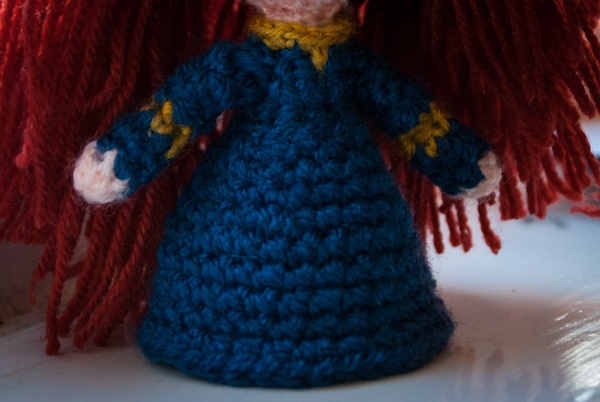 I saw the picture of the finished doll on the pattern and I knew it was just perfect. 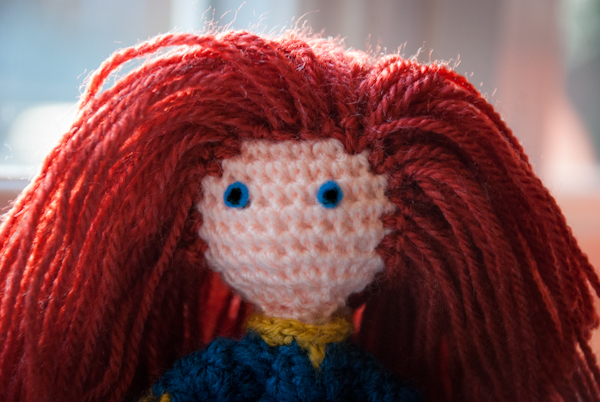 I didn't have time to make the accessories or split the yarn for the hair, and I think the safety doll eyes on the original look much better than the felt and stitched ones I have sewed (and they're a little to high on her face in my version), but I was still quite pleased with her, and the Small Person really like her. 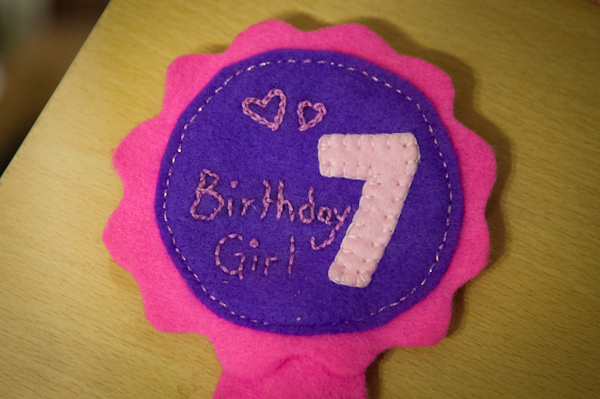 The other make for her big birthday was a felt rosette in pink and purple that has a big number 7 and the words 'Birthday Girl'. 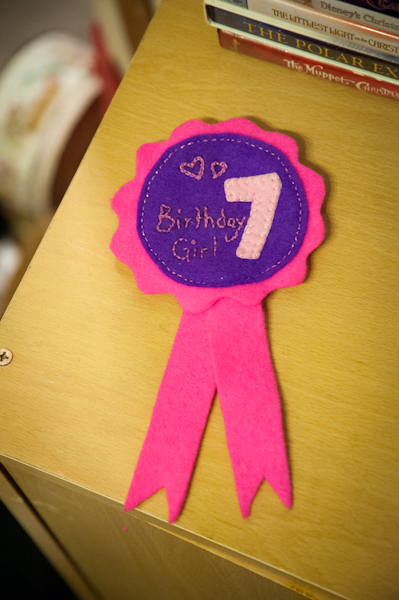 I made it in exactly the same way as the Big Sister rosette I blogged about a few posts ago.